As I mentioned in my last blog post, there are 10 items I want to memorize with my son over his 9 short weeks of summer vacation. The first on the list is the names of the twelve disciples/apostles. 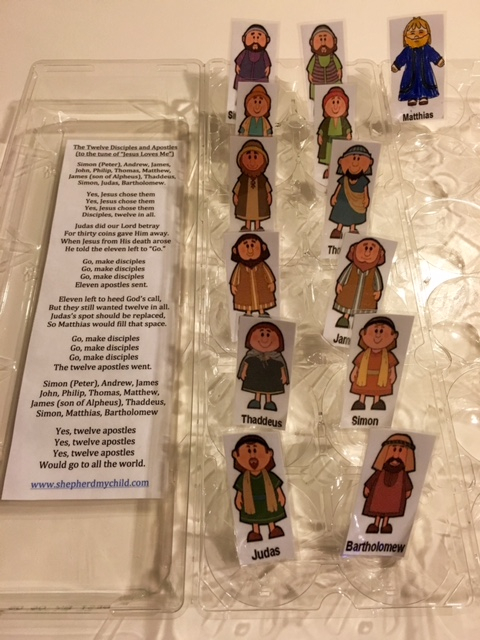 In pulling together resources to aid with this task, I discovered I can tie in information on the difference between a disciple and an apostle, as well as the Great Commission and essentially make some Bible lessons to go along with the memorization. Here are the resources I am going to use, and please feel free to use them with your own family. Difference between a disciple and an apostle: The Greek word for disciples is “mathetes” (which means “a learner, a pupil”). You could say the disciples were disciplined to learn what was taught (since the root of the word disciple is discipline). The disciples were students of Jesus and His teachings. The Greek work for apostles is “apostlos” which means “a delegate, messenger, one sent forth with orders.” The apostles (formerly disciples) were sent by God (specifically Jesus) to tell the gospel to the known world and make disciples of all the nations (the Great Commission). To summarize: Disciples – students, Apostles – delegates. All thirteen men are included. I used the word “jester” for Judas (since one definition of jester is “fool”) and “merriment” was used for Matthias since he was chosen as the replacement apostle. Hopefully an easy way for children to recall the names of the men. 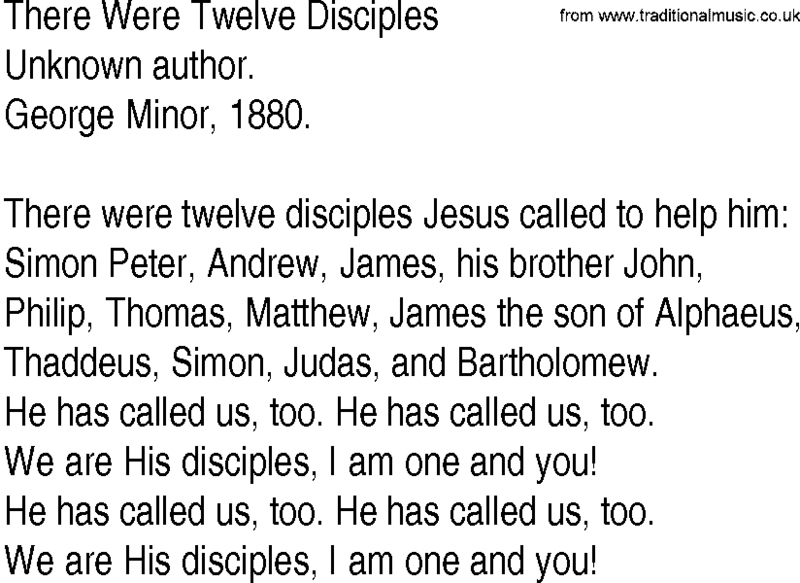 3) Twelve Disciples Hymn. 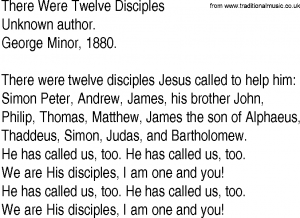 Another great song, but this one is purely about the twelve disciples. The written lyrics are included below, and you can actually hear the song here.